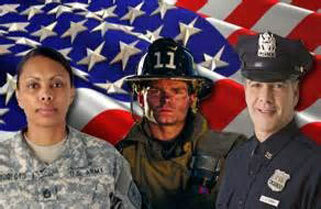 We are happy to recommend the following Paso Robles Hotels for your stay. One-Way Transportation, Bachelor/ette Parties, Graduation, Dinners, Concerts, Shuttle, Long-Distance, VIP, Corporate, Sight-Seeing, Birthdays and Much More! 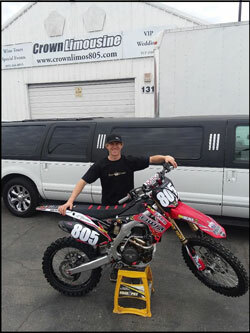 Crown Limousine is proud to support local rider Carlen Gardner, aboard his CR250 for the Monster Energy Supercross series. Follow Carlen every Saturday Night, Live on Fox Sports 1! 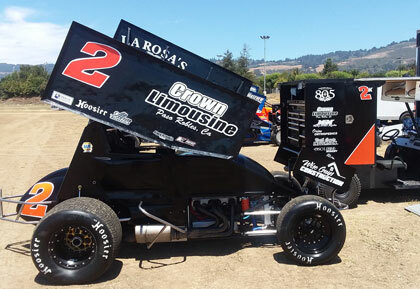 Crown Limousine is excited to sponsor/operate a 360 Sprint car team, located right here in downtown Paso Robles. The driver Gary Nelson Jr. of Clovis is the driver, and they currently travel the highly competitive Sprint Car Challenge tour. The 750 horsepower machine can be seen at most of the tracks throughout California on Friday and Saturday nights.